When it comes to beautiful sand dunes in Michigan, most people would name the Sleeping Bear Dunes a perennial favorite, or maybe the dunes around Silver Lake. But for my money, there are few places that are quite as beautiful as the dunes that are a part of the P.J. 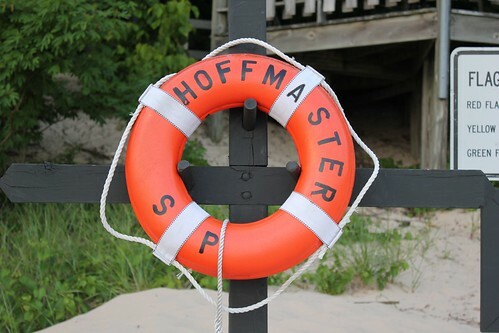 Hoffmaster State Park. I say this for a number of reasons. One, there seems to be something at the park for everyone. There are 293 campsites for those who like to sleep under the stars. There are several miles of trails, perfect for hiking and cross-country skiing enthusiasts. And the beaches for both day use and campers are pristine. It is also home to the Gillette Visitor Center, where you can learn about the dunes and the back dunes that make the dunes possible. In addition to the opportunity to learn about the role the dunes play in our ecosystem, the visitor center also serves as the trailhead for the Sandy McBeath Trail and its 193-stair assent to the top of a dune. The climb might sound daunting, but the panoramic view of Lake Michigan you will find is more than worth your effort.